Younis Khan speaking to the media. "There has been a lot of pressure on me about this announcement asking me not to do do this"
"There comes a time when a player has to move on; I have always wanted to walk away with my head high"
"A player can not always be fit or motivated so its best that Younis leaves this field"
"I will always be around for all of you"
"I am officially announcing that after the next series with West Indies, I will retire from international cricket"
"I would like to thank my fans for their support; I have always wanted to represent my country as an ambassador"
"I wanted to take Pakistan always forward to the next step"
"Please forgive me for any mistakes I have made; sometimes I have been very aggressive so pls ignore those mistakes"
"Some people in media already knew about this decisions so this not sudden"
"When I crossed JM's record, then I wanted to retire but then I was motivated to get to 10K so I have to stop somewhere"
"I am not in the right age where I can play for another 5 years"
"We should always so no to anything wrong and we should make a stand against any wrongdoing"
"Life does not stop if one player leaves"
"When I came into the Pak dressing room, I had some bigger players and I used to think the same but we adjusted well after that to win 2009WC"
"I met the PCB Chairman myself and shared this info with him and so its not like I went in there without planning"
"Sarfraz is best choice for Pakistan Test captain"
"The 2-3 days after BWs death were the saddest days of my life"
"There were only a few days in my career where I was not supported by media and people"
"I took those criticisms or harsh words to use to motivate myself and I became more positive and improved my performance"
"I will not make U-turn as then people will start saying I do u-turns so I wont change mind"
"I was told by people that when you play in ODIs stay not out so your average increases but I did what is best for Pakistan"
Last edited by Abdul; 8th April 2017 at 13:30. Expecting test team to go in lower rankings like ODI team after this Misbah-YK retirement. End of an era. Good bye to the greatest batsman we have produced! Any links to the article? Unbelievable that he will go out this quietly lol but he has been a great servant of Pakistan test team. Scored ugly runs when required and many a times got the team out of a hole. A Pakistani great for sure. Proved that by sheer hardwork one can acheive great heights. Legend of the game. A true gentleman and a fighter. Got nothing but love for ya YK! Hope he hands on a high and score heeps of runs. The best test batsman pakistan has ever produced. Get over it, the time for criticism is over. Now it is time to appreciate and acknowledge for all the runs and hundreds that he has scored for Pakistan and all the great memories and victories he has left us with. The retirement of a player whose career you have followed from day one is always sad. Still remember him scoring a hundred against SL 17 years ago at Rawalpindi, and how he was considered a fringe player for 5 years before the epic 267 at Bangalore turned his career around. A match that ranks as one of Pakistan's great Test victories and my personal favorite alongside the Chennai Test 1999. A prolific run-scorer who went on and on and on amidst all the controversies and personal tragedies, and although his captaincy ended in a very better fashion, he will be remembered for the World T20 win in 2009, which couldn't have come at a better time. Those were some extremely dark days for Pakistan - terrorism was at its peak with the TTP in full swing especially in Swat, and the Sri Lankan team were attacked in Lahore only a few months prior to the tournament. That victory brought immense joy and happiness to the nation and lifted their spirits, so he should always be held in high esteem for that. No player has played a bigger role in our Test wins over the last decade. He has had a role in almost every major win. He has had his technical problems, but he has found a way to survive. Always has. As I have said many times previously, this is a game of character more than anything. He was nowhere close to the likes of Inzamam and Yousuf when it came to natural ability and flair, but that did not stop him from becoming one of Pakistan's greats. It has been an illustrious career and I'm glad that he hasn't dragged it too much which would have put his legacy at risk. People will only have good memories of him now because he is still capable of producing big knocks every now and then. Hope to see him sign off with a customary double-hundred in the Caribbean. A true role model on the pitch with his fitness and work ethic, and the next man has big shoes to fill. His standing in world cricket does not matter, because he has scored 10,000 runs and 34 centuries for Pakistan and not for the world. Goodbye and good luck for the future. Mohammad amir is ordinary .. Sadaf will never play for pakistan and mohammad asghar is overrated. Usman salahuddin is untested and has a big gap between pad and pad. Nothing but respect for him. Still remember the series where he made is debut. Displayed extreme grit and determination even back then. Will be a huge loss for their team after him and Misbah leaves. Good decision, can appreciate him for that. When is he going to retire? Immediately or after a particular series, didn't mikey arthur say that there should be a gap between Misbah retiring and Younis retiring rather than the same time. we needed him for one more year . misbah and younis should not have retired on the same time . Had the same feeling, a lot of people will stop watching Pak test cricket. A huge transition will take place. still has a lot to offer in Tests will be sad to see him go. The last cricketer still there from my childhood. I wish him all the best just hope he can get that 10K landmark and retire on a high. This is a very considerate and magnanimous post from you. Fair play. He should retire on 10k+ runs. Going out on top. His 200 at the Oval when he was termed to be on a decline and on his last legs will forever be one of the best knocks by a Pakistani on foreign soil.. to do it and be the chief architect of a famous Oval win against England at their home will for me will be his best knock ever.. Always miss him. An extraordinary player & always performed when the chips were down. Added together, in the last five years the two players in Tests outside Asia have only reached a score of 50 just EIGHT times in FORTY FOUR innings. I am overcome by a feeling of great sadness at this news. I have followed Younus' career from day one right to the very end and have always been one of his biggest fans. I have been on PP many times sticking up for Younus whilst he takes all sorts of abuse from often younger and naive Pakistani fans who sometimes haven't appreciated how significant his contribution to Pakistani cricket has been. I've often used the line 'when he's gone, you will realise just how special he was', and now that time has arrived. For anyone in any doubt about what this means for Pakistani cricket, we are about to lose the most successful test batsman to ever where the Pakistani shirt. Someone more successful than Miandad, Inzamam, Hanif Mohammed, Mohammed Yousuf, Zaheer Abas and Saeed Anwar. Just think about that for a second - the man at the top of the tree of the greatest is going and we may never again see anyone like him again. I am a pak test cricket fan still now because of Younous & Misbah!!! so next series will be the last series as s pakistani fan!!!! Finest player of spin we have produced. And also the one who can play both match defining and series defining knocks by scoring daddy hundreds and performing his best when series is on line. He will be missed. A great batsman, will be missed. have never been so sad on the retirement of any player.....have followed him right from the frst odi when i was a kid where he score 46 against srilanka in a losing cause but that showed that his calibre GOOD LUCK CHAMPION!. I wish YK the best for the future.Well done YK on retiring with dignity and most importantly well done on brilliant test career. Sad day for Pakistan,end of an amazing Test career. As much as I like Misbah, I feel he can be replaced. This guy however will leave a huge void in our team. When you need someone to stand up and be counted in a crunch situation in a Test match, Younis Khan delivered on so many occasions. Bangalore 2005, The Oval last year, Headingley 2006, Auckland 2001, Pallekele 2015 and the list goes on. Unlike Misbah, we know off the field he wasn't a model professional. He is one of the most complex personalities I've seen, with a sense of victimhood and paranoia I find hard to understand. His career is littered with enough drama to last a lifetime. On the field however, he's a shining example of how you can overcome a lack of natural talent with an insatiable work ethic. Still at age 41 he's fit as a fiddle. Not many players have had to endure as many personal tragedies as him either - having lost a father, two brothers and a sister, all whilst living the life of a nomadic Pakistani cricketer on the road 24/7. In my lifetime I've not seen a Pakistani batsman who could convert 50s to 100s, 100s to 150s and 150s to 200s with such regularity - you know with Younis when he gets a start he'll make it count. For me whilst not quite the very best, as a batsman he's right up there with Javed Miandad, Hanif Mohammad and Inzamam-ul-Haq. Thank you YK, its been a privilege to watch one of the great careers. Great guy. Not too familiar with his Pakistan career, but every time he played India he always TURNED UP.. I Remember him doing really well in both the India-Pak series played in India since 2004. Read many interviews of him back then, about him visiting some of the famous mosques in India and his view on the rivalry and such. Seemed a very gentlemanly guy, soft spoken and reserved guy. Not the fiery angry Pakistani embodied by the likes of Wasim or Shoaib, but more like your version of Dravid.. Seems to have played that role really well in tests. A rock of the Pakistani lineup till last few years. Fair play to you for not disrespecting him like a class less person, he apologised in the OP as well for the past not many players do that; you have to take blame to an extent for the ignorant folk who think it's funny to disrespect Khan when it's inappropriate and it has sought of become a norm on PP a lot of your fans do it to impress you, tell them to calm down. @ all the ignorant people who are disrespecting one of the greatest of all time, when Younis Khan's hand goes up! Younis Khan is far from an ordinary human being, he's a super hero for me. The disrespect levelleld at him is shocking and not justified on any level, now that he is retired; years from now fans will regret their pathetic behaviours because we will never produce another batsman like him. No one is perfect and he has apologised for things in the past but generally the man has been dignified so lets not focus on the negatives. He is the last of breed which has long fallen, Khan is of the class of Miandad, Zaheer Abbas and Inzamam; it truly is end of an era, I second that in my lifetime I've not seen a bat from Pakistan of Khan's aura and beyond his incredible feats at the Test level he also helped us win our only ICC trophy in the 2000's. In addition, he has overcome great tragedy; the type of pain and suffering which can completely break you but not Younis Super-Man Khan; his mental toughness has always been something to behold and the word "fighter" is often thrown around overly to the point where it has become a stereotypical cliche but Younis Khan is in fact the embodiment of a fighter. I don't get why some people were obsessed with him retiring from tests, him along with Misbah were the architects of the test team for a very long time, if we had someone spectacular waiting in the wings who could replace him then fair enough but that is NOT the case, do we have anyone waiting in the wings who will likely cross 10,000. Most definitely not, not even close. If he can stay a little bit longer then I will be happy, he deserves to carry out regardless of what some armchair critics like to say. Retires as an ATG.Played some of the best,most memorable innings by a Pakistani player in recent times. Hope he scores heavily in the WI series and goes out on a high. It's okay man ignore these kids; they are just naive. They'll only realize what an absolute legend this guy was after he's gone. The best batsman we have ever produced. Thank you for your services to the country and good luck for the future. The greatest batsman to play for Pak, after Miandad in Tests. He will leave behind a huge gap to fill. End of an era, one of the best bats we have had wish him all the best. I have always enjoyed his struggle on crease because I knew he will somehow score runs and spend time on the crease because thats what really matters in the end. Really enjoyed how easily he could play bowler back drive in his peak.Never criticized him. One could never say he is gonna get out the next ball or coming over as our farhats and asads. Best of luck Pak Legend and a top top batsman in history for your future. 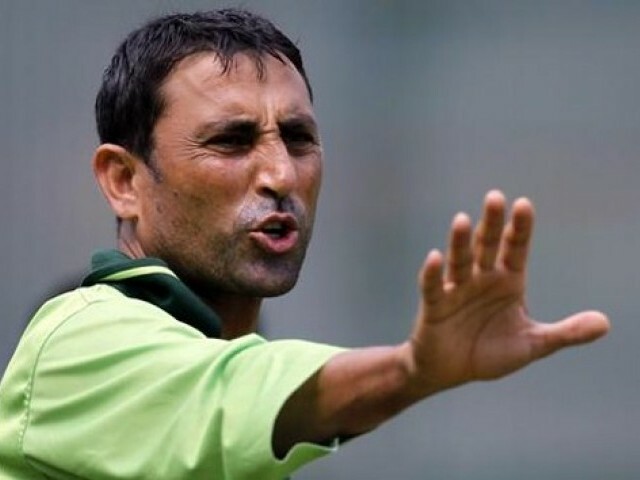 Karachi: Long-serving Pakistan batsman and former captain Younis Khan on Saturday announced that he will retire from international cricket after the upcoming three-Test series in the West Indies. "I will be retiring... With my head held high," the 39-year-old said at a press conference in Karachi. "I think this is the right time as every sportsman has to take this decision in his career. I was planning this for a few months. I always tried to play for my team and for my country," he added, bringing an end to a 17-year Test career. Younis insisted that he has already made up his mind and will not reconsider his decision to retire. "People have been calling me and requesting me not to retire. But a time comes in every cricketer's life when he has to take a decision for the best. I have always wanted to go out on a high," he said. "It is better for Younis to retire now from this field. It is all about a question of motivation and performances. I want to go out with my head high. That is why I am announcing today that Younis will retire after the West Indies series," the former skipper added. Younis, who has led Pakistan in all three formats and guided them to their only World Twenty20 title in England in 2009, needs only 23 runs to reach 10,000 Test runs. "I just want to now complete my 10,000 Test runs and go. I am not at that age where I can continue playing for a few more years. So even when I complete my 10,000 runs I will not take back my decision, even if I have an extraordinary series in the West Indies." Younis today joined his teammate Misbah-ul-Haq in retiring from international cricket at the end of the tour of the West Indies in April and May. Both the batting stalwarts have already retired from ODIs and had stopped playing T20 Internationals a few years ago. "Life does not stop for anyone. One has to move ahead. I used to think how Pakistan will cope up when greats like Rashid Latif, Moin Khan or Saeed Anwar retire. "But even after they retired Pakistan cricket carried on and we won the 2009 T20 World Cup with a young team. So there is a replacement for everyone," he said when asked what impact would his and Misbah's retirements have on Pakistan cricket. Younis has so far scored 34 Test centuries in 115 matches -- the most by any batsman from the country -- and is set to become the first Pakistani and 13th batsman in the world to score 10,000 or more runs. He has so far accumulated 9977 runs at an average of 53.06. India's Sachin Tendulkar currently tops the charts with 15,921 runs in 200 matches. "I used to keep the paper clippings, where I was criticised for my performances and get motivation from them and learn and try to improve my performances," he revealed. Younis was recently named one of Wisden's Five Cricketers of the Year, following his contribution in Pakistan's 2-2 drawn series in England last summer. He hit a hundred in his first Test against Sri Lanka in Rawalpindi in 2000, kicking off a glorious career during which he also scored a double hundred in Pakistan's series-levelling win against India at Bangalore in 2005. Younis saw lots of ups and downs during his career but one incident that he said he could never forget was when the team had to stay back in the West Indies after the death of their coach Bob Woolmer in Jamaica during the 2007 World Cup. "Not being able to leave for home, being treated like murder suspects, those were the worst moments of my life and I can never forget them. We were being treated like suspects although Bob was like a father figure to us and his death shook us all," said Younis. I started watching cricket back in 1997/98 and since then I truly have never seen a batsmen from Pakistan deploy as much grit and determination as Younis has over the course of his 17 year career. A journey that began in year 2000 (against Sri Lanka), spanning more than 1.5 decades will finally come to an end after the West Indies tour. Personally speaking, Younis’s most inspiring contribution towards Pakistan cricket will always be his match winning knocks in the Misbah-Younis era and while this may seem as a hipster selection of events based on recent success; the fact that these innings came when Pakistan needed them the most are probably the sole reason I lean more towards his achievements compiled post 2010 than in the Inzi-Woolmer period. As a personal favorite it is extremely hard to choose anything over that Bangalore 267 but during those times Pakistan had other batting stalwarts in the lineup as well and Younis’s runs were always considered (at least by me personally) to be a bonus criteria to anything we may achieve on the back of Inzi or Yousuf. It is only when Younis became the backbone of the Test team and the sole senior batsmen that we saw the epitome of greatness this man could unleash in the longest format of the game. A triple hundred coupled with five scores of 200 and above clearly indicates the genuine class of the man while with a batting average of 53+ in 115 games and a century in all test playing nations + UAE makes him without any shadow of a doubt a bonafide batting all-time great. For the last seven years he has been the rock that Pakistan could lean on whenever they were under the pump (home or away) and the fact that he has been the key architect in helping develop the next generation of our test batters, both on and off the field, is something that will be missed in more so than the runs that he so effortlessly score series after series. For me, Younis is the warrior who stood up (Along with Misbah and the others) in one of the most darkest eras for Pakistan cricket and to come out with such a pristine statistical record is no mean feat. He is the unsung hero that has toiled away in the dessert without any accolades or rewards yet has remained steadfast and committed to the cause without fail. A career marked with personal tragedy, betrayal, legal battles with a rigid board and other off field issues; it is truly remarkable that Khan scoring clutch runs still remains one of the few constants for Pakistan cricket. I have no idea how are PCB and the upcoming management are planning to fill the void that this man will leave post the West Indies tour and quite frankly whoever takes up that #4 position will have massive shoes to fill. A part of me is sad that Younis’s journey, which I had the pleasure of following from day one has come to an end, like all good things must however what he and Misbah (to some extent), have given Pakistan is a rationale of how hard work, commitment, professional conduct during a game can overcome lack of natural flair, flamboyance and ability. This is well and truly the end of an era, Thank You Younis Khan for all your services and for all the memories I have cherished over the years of this great man defying odds, oppositions, critics and scoring heaps of runs day in day out – Man, Warrior, Champion and a true Legend. i didnt expect him to retire ... he wanted to captain pak which he said very recently before they made sarfraz as vice captain, has he been given the captaincy he would have stayed.. i feel that he see that no point in continuing after being sidelined from the captaincy option by PCB.. And he see this as an opportunity for him to show his anger not giving him the captaincy to teach PCB a lesson from his retirement..
All respect for him, hope he have a great series to end with..
A great test career and congratulations to him for all his achievements and contributions towards Pakistan cricket. I started watching cricket back in 1997/98 and since then I truly have never seen a batsmen from Pakistan...Warrior, Champion and a true Legend. Thanks mate, Younis's services to Pakistan Cricket are unparalleled in every way imaginable. We need a proper tribute for this great servant of Pakistan on Pakpassion. I'll probably (if time permitting) write a detailed piece on YK during that final week of his on the field. A world class, yet despised batsman. To rate him any lower than Hashim Amla or Kevin Pietersen would be a farce...having said that, he's not a genuine ATG like Dravid, Kallis et all. A very emotional day, this is my tribute to Younis Khan in the form of a poem. 2015, the showcase of the immortals; he would dream big once again! Have patience my sweetest friends. But all that would be left was his realm of pain and scornfulness, the only things that are real. Where did it all go wrong? A shadow he had become, everything he achieved disappeared.... but not for me. Still, he bled, cried and battled on; with a smile. Whoa, this is brilliant. Beautiful work brother, such heartfelt and moving words. Hate to see a gentleman of this stature leave the game. It is not only Pakistan's loss but the loss for every cricket lover. Once again from across the border very few players commanded the respect like he did. He was a real foot soldier who did his best. Lot of pakistan people did not like him as they claimed he had no flair but this man did it in his quiet methodical way. Thank you a lot for everything you have done. What a man, a player and above all a person. Was a very good bat from Asia esp in tests,his last match in England was a knock to cherish.Has had a long career congrats to the man. Can You get over that stat man, been seeing it for months. Why don't you dig up stats like these for Asia?? It's not like we play in a overseas nation that often anyways. If you were to dig up a stat for Asia you'd see the true legends! He is absolutely in league with Amla, Dravid and kallis. I dont have the time to debate it. Hope he can add one more hundred . I am happy that he retired because he was the biggest thorn. Hardest nut to crack. Sometimes so stubborn that didn't crack at all. Countless miseries. When we thought we have the upper hand he calmly took it away. If there was any role model we would ask our players to emulate from Pakistan for test cricket, it would be YK. Averaging 53+is no joke. For 17 years? Are you kidding me? I am happy that he retired in his own terms. He is a winner. Champion. Fighter. He did it his way. Take a bow Champ. New life awaits you. I am sure you will take that challenge and excel as well. Pakistan is just about to get hit by the retirement train like SL. Every team at one point faces it. Sometimes the recovery is fast (Aus, Ind), other times it takes a little longer (WI, SL, Zim). Pakistan team will not be the same without YK and Misbah. Tribute to the legend. I wish him great success in future career (may be as a Coach). He is leaving with his head high. That's one way of looking at that - your way. You can also see it my way - in last 5 years, PAK in total has won 47 Tests outside UAE, 4 outside Asia, including the one against NZ in 2011 - take these two out, that 7 would have come down to ONE at Dhaka & may be one at Palekelle. Today is not the day for such comments. A true legend is calling a day when he could have easily played for few more series. It's not his fault that at 40, still he is comfortably better than what PCB can assemble barring Azhar & may be Asad. An absolute legend & brilliant ambassador for the country. YK and Misbah leaving the Test team will leave a huge void in the Test batting line up, however, we always knew this time will come and Azhar & Asad are as ready as they will ever be to step up. This. Could not have said it better. replaced .Good luck to your future younis you are a true "khan"